No prep! 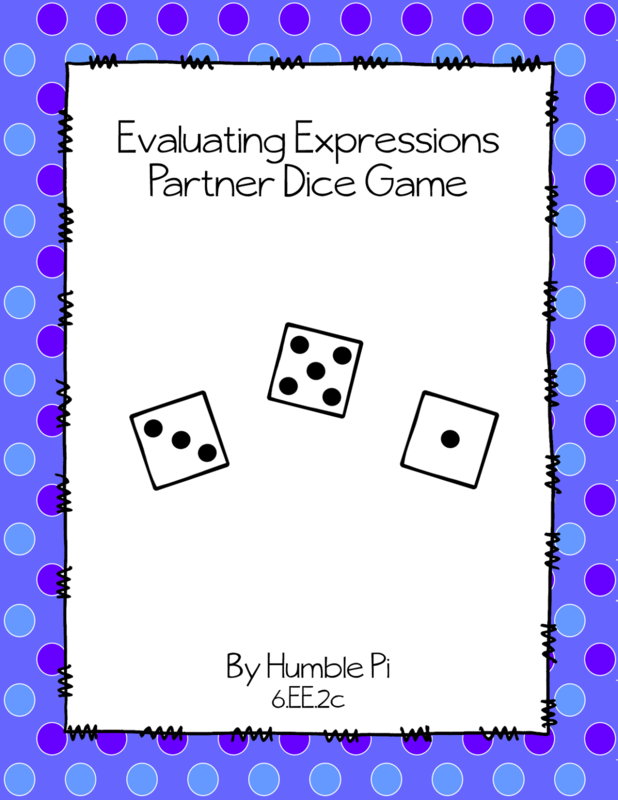 Students use dice to create expressions to evaluate as they compete against a partner. The game comes with two levels, allowing for differentiation. Aligned to 6.EE.2c, but great for 7th and 8th grade review, too.